If you live in the Laurel area and want a capable yet stylish small SUV, the 2017 Honda CR-V is a solid choice. This vehicle has been tremendously popular for quite some time, thanks to a reputation for extreme reliability, low cost of ownership and practical features. With a dramatic redesign, you enjoy engaging performance, solid safety equipment and some of the latest technologies. For 2017, Honda is offering four trims called LX, EX, EX-L and Touring. Each one is loaded with value, so you can't go wrong, no matter which you pick. 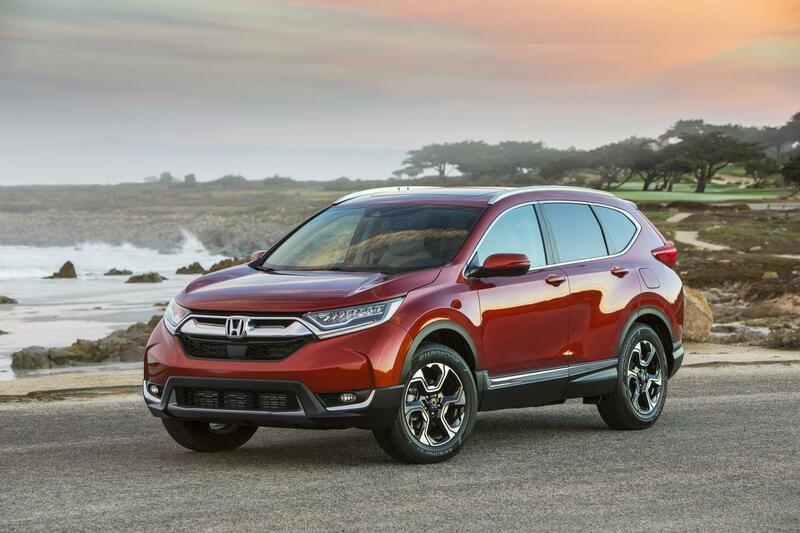 For the first time ever, you can get the Honda CR-V with a turbocharged engine. The 1.5-liter four-cylinder features dual overhead camshafts and dual valve timing control for explosive performance, and respectable fuel efficiency. The turbocharger feeds the engine with 16.5 psi of boost pressure. As a result, you get 190 horsepower and 179 lb.-ft. of torque on tap. The alternative is a 2.4-liter naturally-aspirated four-cylinder engine. It's still plenty capable, with a peak 184 horsepower and 180 lb.-ft. of torque. This engine also features i-VTEC for great pickup when you press hard on the accelerator, a nice feature for getting on the freeway or climbing hills. With both engines, a drive by wire throttle is responsive, adding to the fun nature of this SUV. Mated to the engine is a continuously variable transmission (CVT) with a sport mode. The electric parking brake has an automatic brake hold function, too. Eco Assist coaches you on how to drive more efficiently, so you can really maximize each gallon of fuel. Hill start assist is standard for all models. The real time all-wheel drive is available for all trims, while front-wheel drive is included on each one. To keep everyone safe, the 2017 Honda CR-V is loaded with both passive and active features. The Advanced Compatibility Engineering (ACE) body uses crumple zones, plus strategic reinforcements. Among the standard airbags are SmartVent front side bags, which won't inflate completely if a person is sitting in the pathway. Several active safety features are built into every Honda CR-V. Among them is vehicle stability assist, traction control, antilock disc brakes, electronic brake distribution, brake assist and a tire pressure monitoring system. LED daytime running lights are also standard, helping the SUV to stand out so other drivers will notice it, even in deep shadows. All models come with a multi-angle rearview camera, so you can select the viewpoint that's best for any situation. Other driver aids like a collision mitigation system are available. Honda designed the interior to be surprisingly spacious and comfortable, so even taller adults won't complain about being in the backseat. Everyone enjoys standard amenities such as an automatic climate control system, power doors/windows and Bluetooth. Drivers are catered to on many levels, so you'll always look forward to getting behind the wheel. Among the standard perks is a capless fuel filler, cruise control, light-up controls on the steering wheel and a rear window defroster. Explore the many possibilities of the 2017 Honda CR-V by visiting us today.